1988 Irwin 68 Ted Irwin the world renown American designer, boat builder, and sucessful ocean racer. Ted also went on to found Irwin Yachts, located near St. Petersburg Florida, which, up until the late 1990's built thousands of sailing yachts, both racers and cruisers. Many of the larger models were built for the booming south Florida and Carribean charter trade. 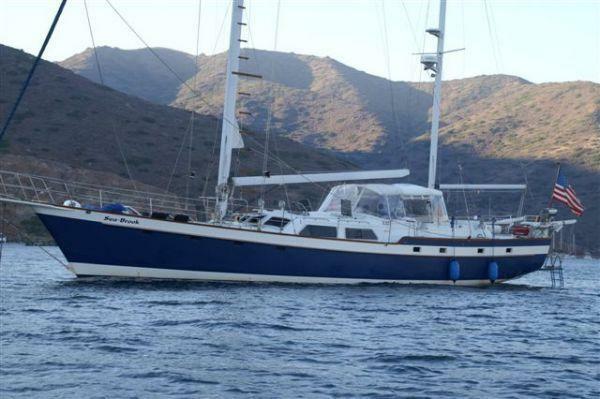 Her current owner did not charter her but she has done charters previously. She has had a full interior refit and fresh teak decks. updated electronics, hard\top bimini, and all the comforts of home. Want to start a crewed charter company? This is an opportunity for a turn key business or private home in the Caribbean. Located conveniently in Miami Beach FL. 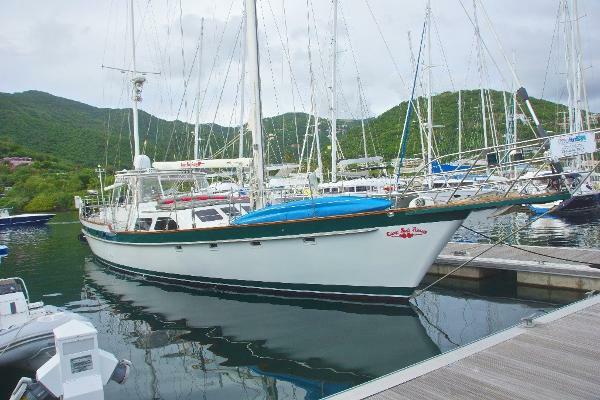 1988 Irwin 68 Stargazer is one of the most successful charter yachts throughout the Virgin Islands. She has been professionally maintained by full-time professional crews since her launching in 1988. She features the desirable owners version, which features a full beam master. The current owners have put a lot of money maintaining her to the highest standard. 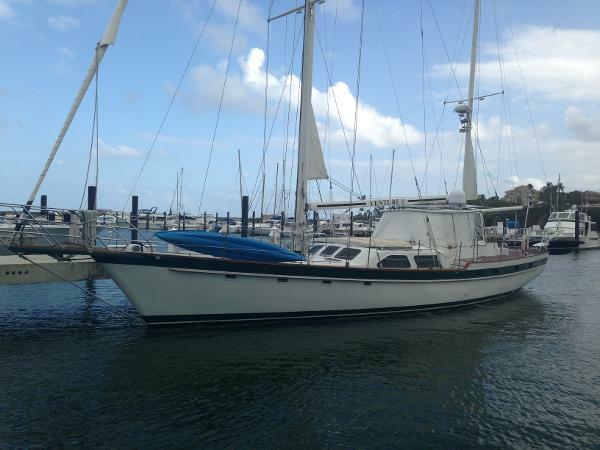 1987 Irwin Ketch Custom Irwin 68' staysail ketch powered by Perkins 200hp turbo diesel. Northern Lights 20KW generator with reverse cycle air conditioning & heat in five private staterooms. Spacious gourmet galley with built-in refrigerator/freezer, dish washer, trash compactor, Force 10 LPG stove & oven, Nutone food processor, double stainless sinks, and custom wine rack. Topsides features a huge cockpit with bimini and full enclosure, followed by an on deck jacuzzi. There is an extended transom with electrically operated swim platform and custom lazarrette bulkhead which will accommodate a jet ski. Complete marine electronics include Vigil 24 mile radar, Magellan GPS nav plotter, Autohelm pilot, Icom SSB, Standard Horizon knot, log, depth, VHF and more. Vessel is wired for computer & printer, phone and there is TV, VCR, CD player, and AM/FM stereo with speakers inside and out. Additional items include heavy duty electric windlass with up & down deck switch with remote, stern davit with Avon 14' RIB w/70hp Yamaha, Sea Recovery 600 GPD watermaker, Kenmore washer & dryer and more. All furling sails, with mast pulpits, rod rigging, and custom aft deck seating. Motivated seller looking for offers, so call now!